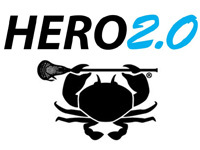 12D HeroMesh is engineered with the elite goalie in mind. HyperWeaveTM provides accurate outlets and unmatched rebound control, while the LTH FibersTM allow your pocket to be durable and lightweight. Now it's your turn to BeElite. Weatherproof – Our new LTH FibersTM are fully weatherproof. They will not expand or contract in blistering heat, freezing cold, rain, or snow. Lightweight – LTH FibersTM are extremely lightweight and durable. This means quicker hands and a 12D mesh that stands up to the hardest shots. Rebound Control – The unique and consistent diamond shape, created by HyperWeaveTM, absorbs and distributes a shot's energy, making controlling rebounds look easy. Accurate - 12D HeroMesh features a unique diamond shape that allows for the smooth and accurate release you need to hit your outlet every time. Choose from Semi-Soft or Semi-Hard above. HeroStrings are engineered with performance in mind. The sidewall strings are tightly woven and will not loosen or lose tension, while the shooters are soft yet durable for a smooth, accurate release. The shooting nylons have a similar feel as the shooters, but are thinner and stiffer for a snappy release. Now it’s your turn to Be ELITE. Weatherproof – HeroStrings are woven with a hydrophobic fiber, allowing them to stand up to extreme weather conditions. LockTecTM – Our textured strings feature LockTecTM, which keeps knots tight and maintains sidewall tension. 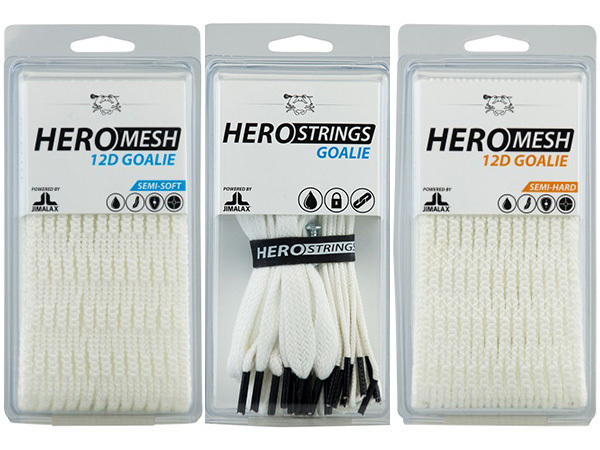 Durable – All HeroStrings are made with abrasion resistant fibers for maximum durability and increased longevity. 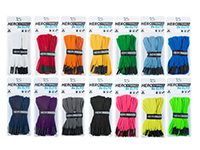 3 Shooting Strings - 66"
1 Shooting Nylon - 66"
4 Sidewall Strings - 66"
1 Bottom String - 33"
HeroMesh and HeroStrings are made with pride in the United States. 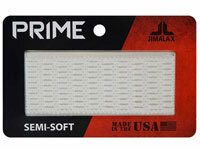 Powered by Jimalax.